How do I add a filter to my Facebook photo? This a popular question on the internet among Facebook users. It is indeed true that you can add filters to Facebook photos before sharing them with friends. 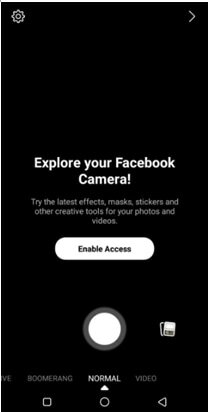 You might be new this feature and you are wondering how to use Facebook filters. In this article, we will show you three ways on how to use Facebook Filters effects easily. Moreover, we will show you how to troubleshoot on Facebook Messenger Video Call Filters if it is not working. 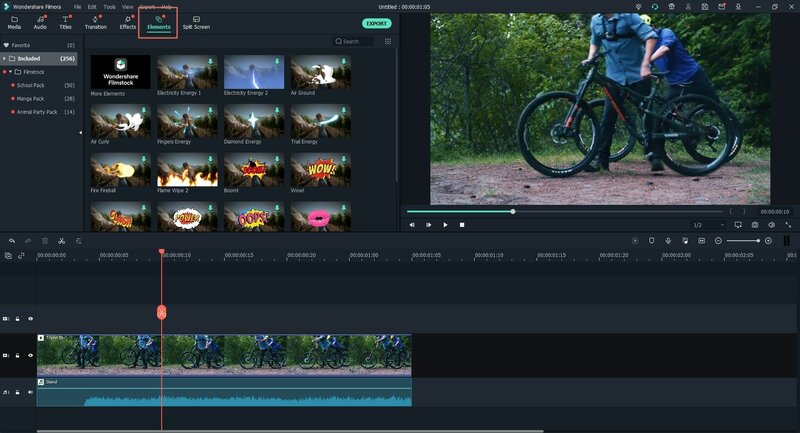 Filmora Video Editor is built with basic audio controls such as volume, pitch, equalizer, trim split, and mute. Its basic video controls include trim, cut, saturation, rotate, crop and brightness among others. 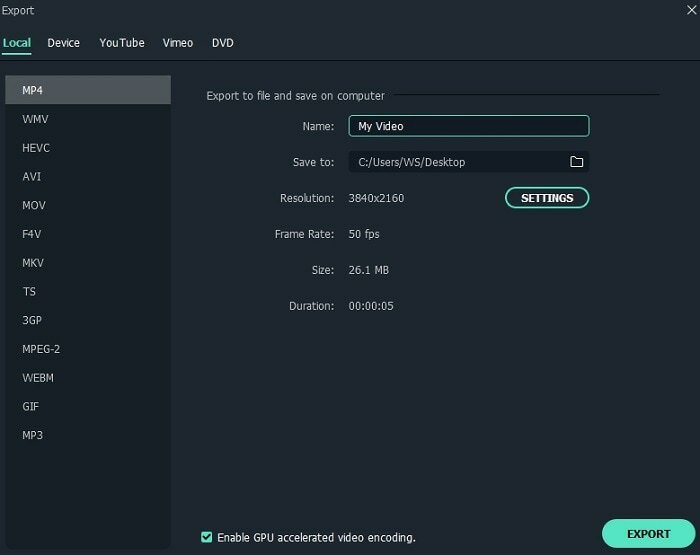 It supports real-time preview when editing your videos, audios and photos. 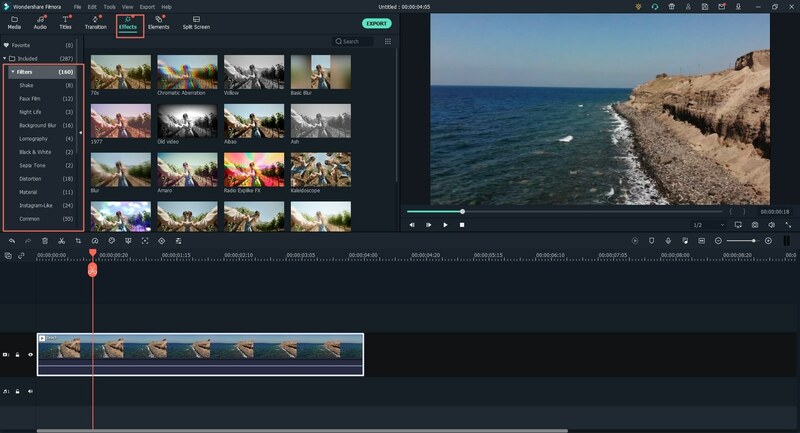 Filmora Video Editor supports input of media files from computer storage, camcorders, phones and online sites. 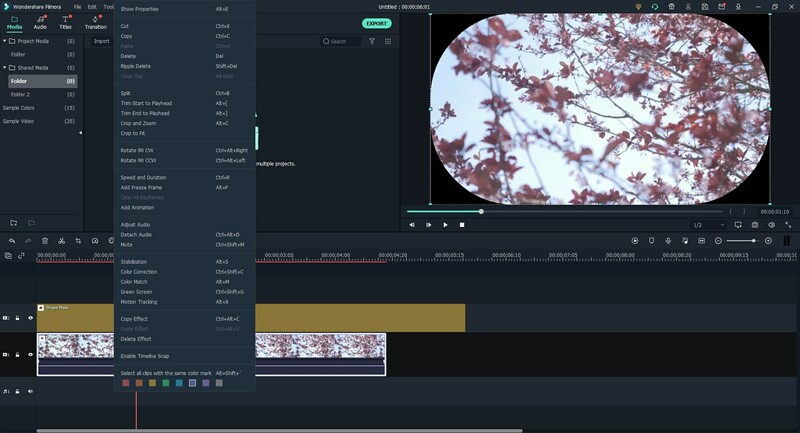 It is designed with numerous advanced editing options such play in reverse, advanced colour tuning, green screen, pan and zoom and freeze a frame and a stand-alone action cam tool. 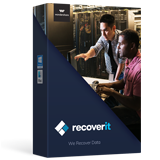 First, click the "Free Download" button and download the software either to your Mac or Windows computer. After that, you can then install it and launch it and move to the next step. Next, you have to upload the image or video to the software that you want to add filters by clicking on "Import" button on the home window. If you have the Facebook videos or images downloaded on your computer select "Import Files" otherwise you need to download them from Facebook in you had uploaded them. Just paste the link on after selecting the download option. 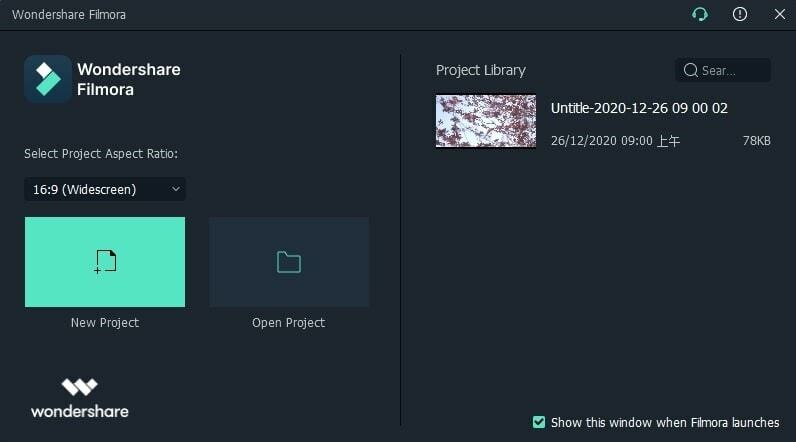 When you have uploaded or downloaded Facebook Video or image to this software, you can drag them to video timeline and image timeline respectively. To add filters, click on "Filters" button a list on filters will appear at the top of the window. 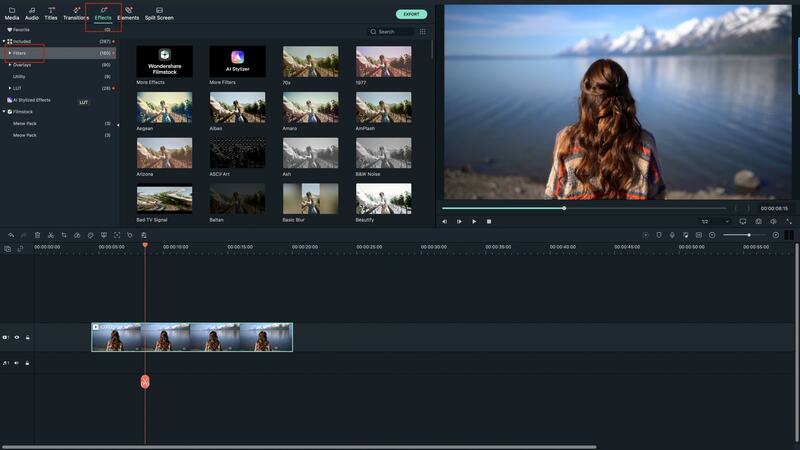 As you browse through, you can preview the filters to see if it is ideal for your video or image. 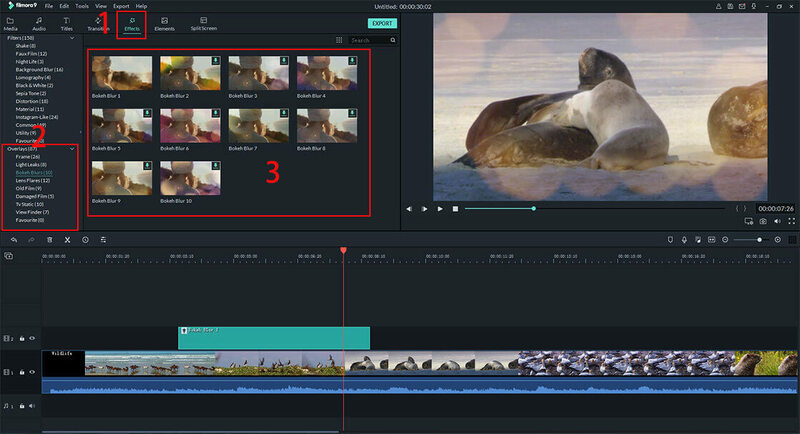 On the selected filter, drag it to filter timeline and position it on the ideal minute of your video. You play to preview it again. You can also add cool elements to your media file. Click on "Elements" button and then such for elements that you want. Drag the element that you have identified to element timeline and position well. 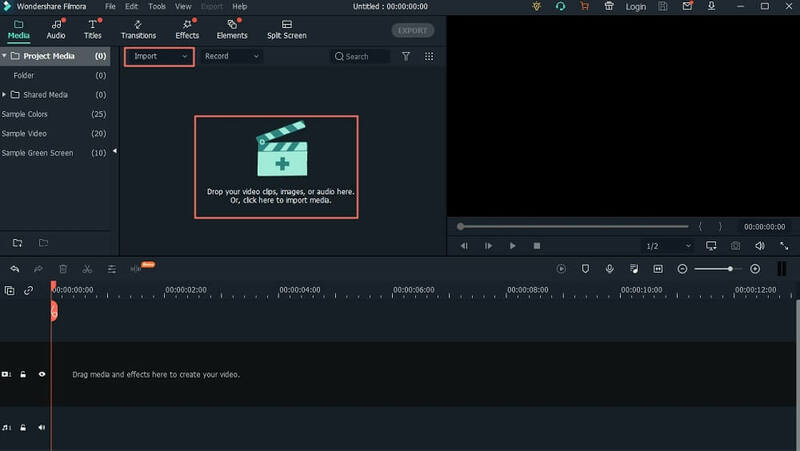 Play the video to preview the element added. To remove the element, use the undo button. To add overlays, click on "Overlays" button and you will be presented with several overlays. Again, select the appropriate overlay and drag it to the timeline. 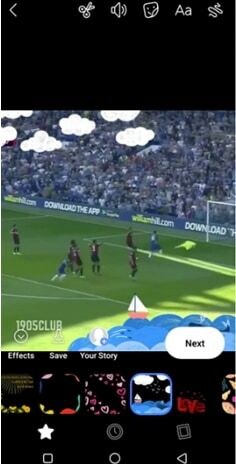 You can adjust the position and play the Facebook video to preview the overlay. 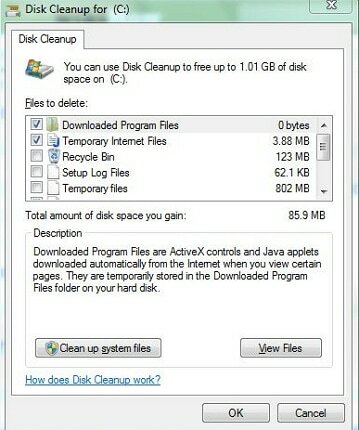 What follows is to save the file or share it Facebook directly. Click on "Export" button option. You can then select to export to desired format or your specific device. Follow the prompts and complete the process by clicking on "Export" button. Then you can upload the amazing video to Facebook directly. Without using and editing software, you can also use Facebook Filters available on Facebook camera to modify your images or videos. Here is a guide on how to use Facebook Filter Effects in Facebook Camera. Step 1. Download the Facebook app on your phone and sign in to your Facebook account. Step 2. On the homepage of Facebook screen, click on the camera at the top left. Step 3. You will option Live, Boomerang, Normal and Video at the bottom of the screen. Just above the video is Gallery button that allows you to upload videos and photos on your gallery. Tap on it and upload a video or photo that you want to add Facebook Filters effects. Step 4. Once you have uploaded a video or photo tap on the effects button the bottom left. You will see a menu a filter appears at the bottom. Swiping to the left for more Facebook filter effects. If you tap on an effect it will be applied to your photo or image. Step 5. Click on "Next" to apply the effect selected and then a new window will open that allows you to write a caption and options on how you want to share your Filtered photo or video. Step 6. Lastly, click on "Share Now" to share the Facebook video or image with filters. 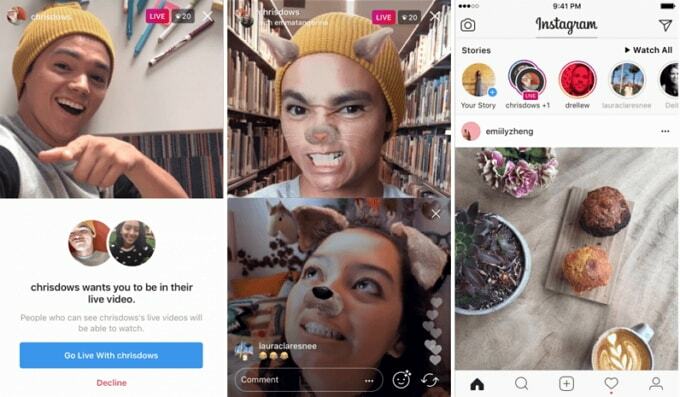 Facebook Messenger's app also allows you to add filters on video calls just to make them entertaining when making video calls with your friends. Below are steps on how use Facebook Messenger's Video Call Filters on Android and iPhone. Step 1. Download and install Facebook Messenger app on your phone. Step 2. Log in to Facebook messenger using your Facebook account, or you can create an account if you do not have a Facebook account. Step 3. Next, choose a friend on your list who you want to video call. Now tap on the video call button at the top right near the call button. Step 4. 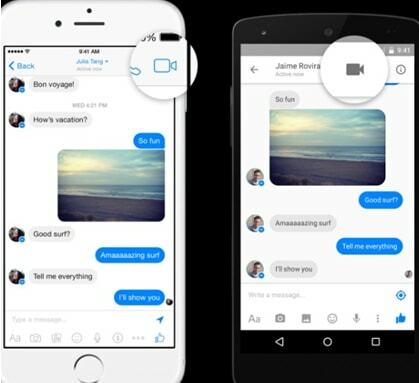 Facebook Messenger will immediately make a video chat call. As you wait for your friend to connect, you will see the option that prompts you to try video effects. Now, swipe left and long press on the effect that you prefer and the effect will appear on your face on the camera. Step 5. 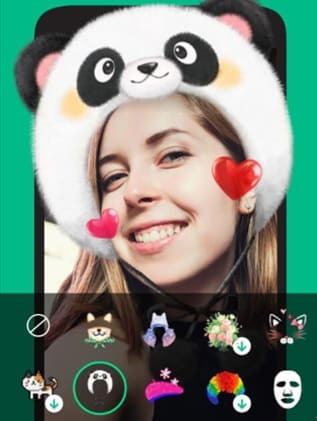 Awesome now wait for your friend to connect your Messenger video call and enjoy the experience. 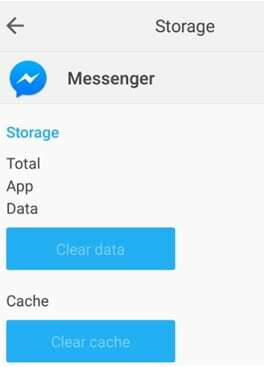 In some cases, you will find that Facebook Messenger call filters is not working and there are several ways that you can troubleshoot that problem. 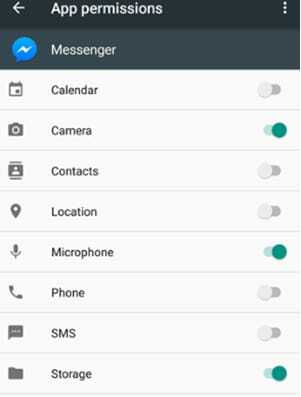 On your Phone, go to Settings > App>Messenger and then enable Camera and Microphone. The problem could be your network connection. Go to "Settings", followed by "Backup and Reset" and then Network Reset Settings. 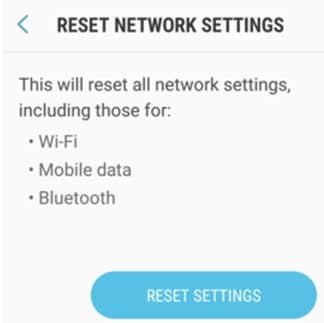 From there, click on "Reset Settings" button and then connect back to Wi-Fi and try video calling again on Messenger. Maybe your Messenger app is becoming irresponsive. Therefore, go to "Settings" select "Apps" and choose Messenger app. Click on "Storage" and click on "Clear Cache". From there you can open the Messenger app and log in again. 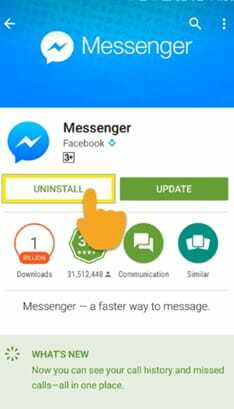 If the above methods do not work, then uninstall the messenger app on your phone, reinstall and login to your account. Do not just post videos and images to Facebook, make them appear create by applying Facebook filters available on Facebook camera or that from Filmora Video Editor.